of this exciting new sport. Written by Tim James. Foreword by Chris 'Douggs' McDougall. Whether you are currently a speed wing pilot, or you are interested in learning more about speed flying in general, this reference guide holds something for you. “At the time of writing this reference guide, there was nothing like it available for the speed flying fraternity. With the help of experienced pilots from around the world, this guide has been compiled in the hope of raising awareness of the dangers of speed flying and improving safety. ”This ‘Basic Speed Flying Reference Guide’ is a concise and well brought together set of ‘lessons learnt’... some the hard way! Tim has shown great motivation to capture pertinent areas of the emerging sport of speed flying and has presented them in a way that answers most questions, and points the reader to ask the right questions about their own flying. 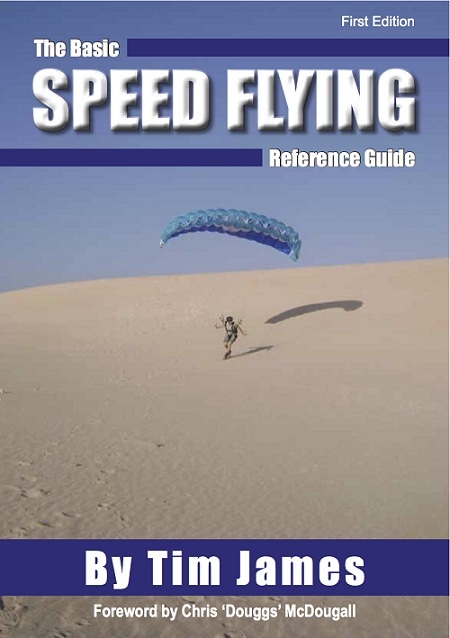 “The Basic Speed Flying Reference Guide is a must read for anyone even remotely interested in the sport of speed flying. It contains a vast array of crucial information that will help any pilot understand the basics of the sport, which will then accelerate their learning and most of all, help to keep them safe. This guide is a unique and complete work dedicated to one of the world’s newest and most exciting sports. It should be considered indispensable for anyone considering speed flight.” Matt Gerdes - Author of ‘The Great Book Of BASE’. 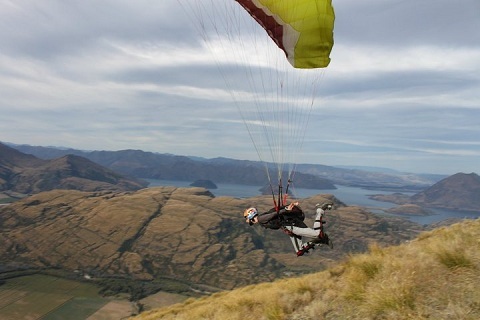 “The sport of speed flying is becoming rapidly popular and there are many different variations and approaches to it - you may live in a mountainous area or a coastal zone or you may have the privilege of having access to both! 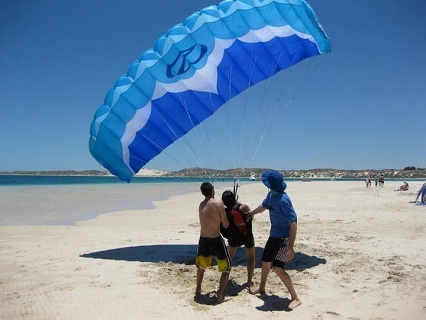 Pilots are coming into this exciting discipline from paragliding, skydiving or with even no canopy piloting background. In this book Tim has managed to successfully combine relevant and useful information from a wide range of sources and experienced pilots in a concise and logical fashion. His dedication and passion for the sport shines through each page. It is an excellent resource for any new pilot to the sport of speed flying. The book is also available via Tim's eBay page - you will need to search for 'Speed Flying' to find it, rather than using a link this is because they have to be updated every 10 days.